UPDATE: January 24, 2019: A bicycle sharing station has popped up on the Malecon. It is supposed to go live in a week! 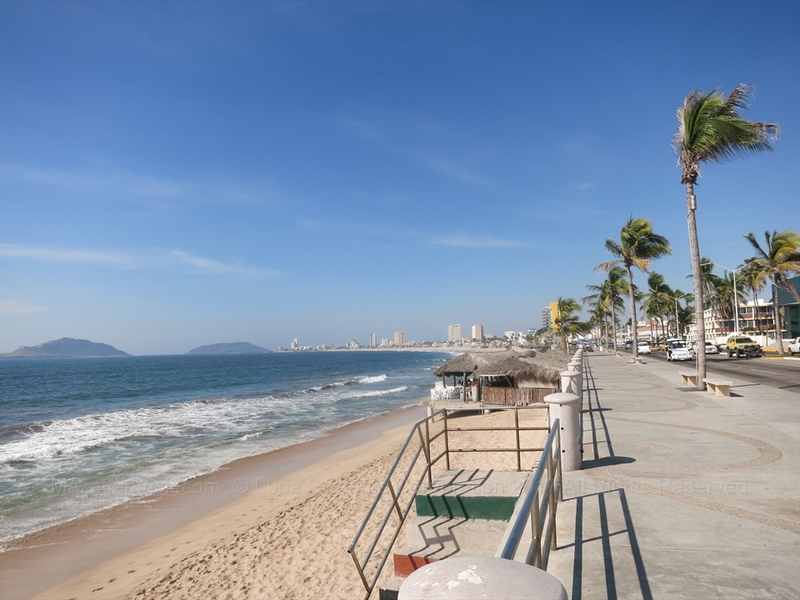 The malecon is 20+ kilometre long seawall that runs the length of the main bay in Mazatlán along the Avenida del Mar and around a point into Olas Altas next to Paseo Claussen. It is a seawall with a large wide sidewalk that fronts the ocean. The intent is that there is half for walking and half for bicycling, but this is sometimes blurry! You will see people walking, running, and bicycling from early morning to late at night. 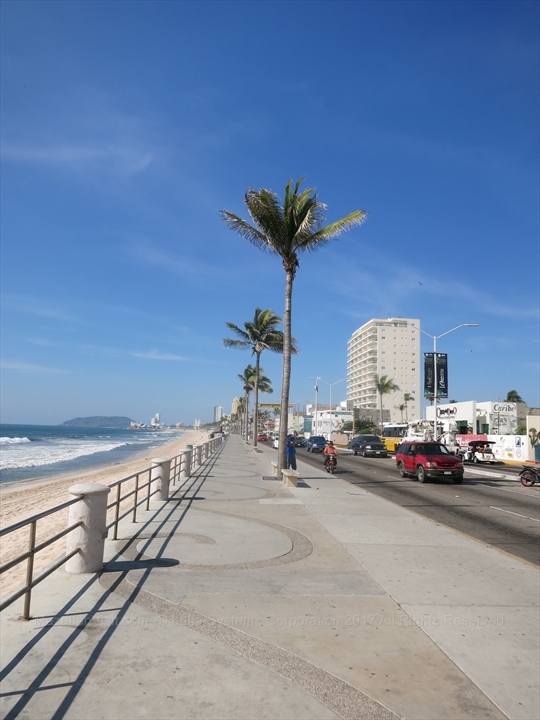 The malecon in Mazatlán is one of the longest seawalls in the world! 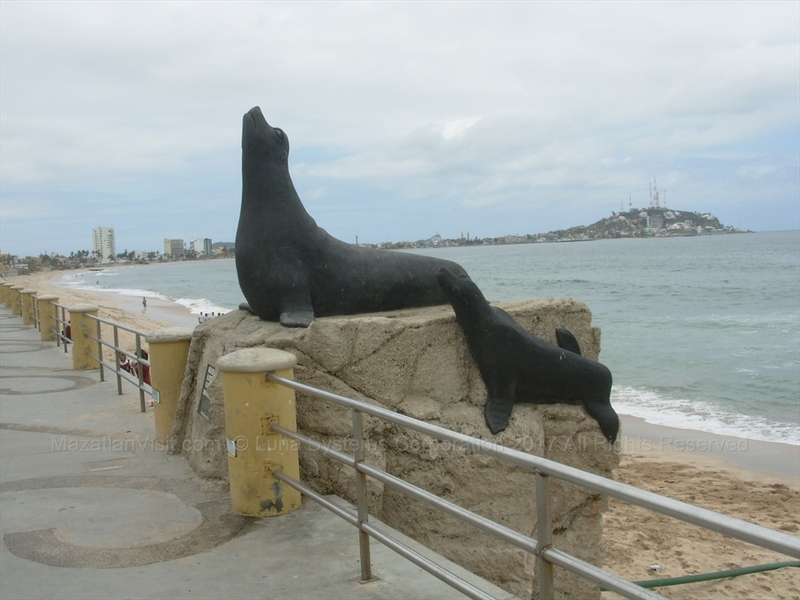 Along the malecon, there are many monuments and statues to see. 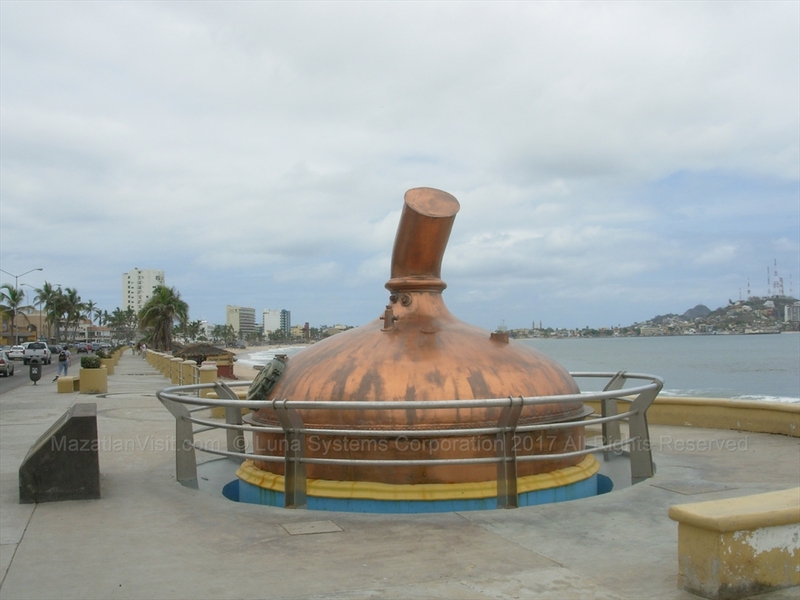 Along the Avenida del Mar portion of the malecon you can see the Monument to Family, Pacifico Brewery monument, Pulmonia (taxi) monument, and the main monument in Mazatlán, the Fisherman's Monument among others. On the Paseo Claussen portion there is a string of monuments such as the Continuation of life and the monument to women. The cliff divers also dive next to the malecon at a spot called El Clavadista. The Paseo Claussen portion of the malecon where the monuments and cliff divers are is a popular place for families and lovers to stroll in the evening! The cliff divers usually perform in the afternoon until early evening. There are usually a bunch of street vendors at this location selling souvenirs also. The malecon is also where most of Mazatlán's parades take place. The largest parades are during Carnival (Mardi Gras) in Mazatlán usually in late February of every year! If you walk on the malecon during the day, be sure to wear sunscreen and a good sun hat as it can get very hot! Obviously, it is cooler in the morning and evenings. 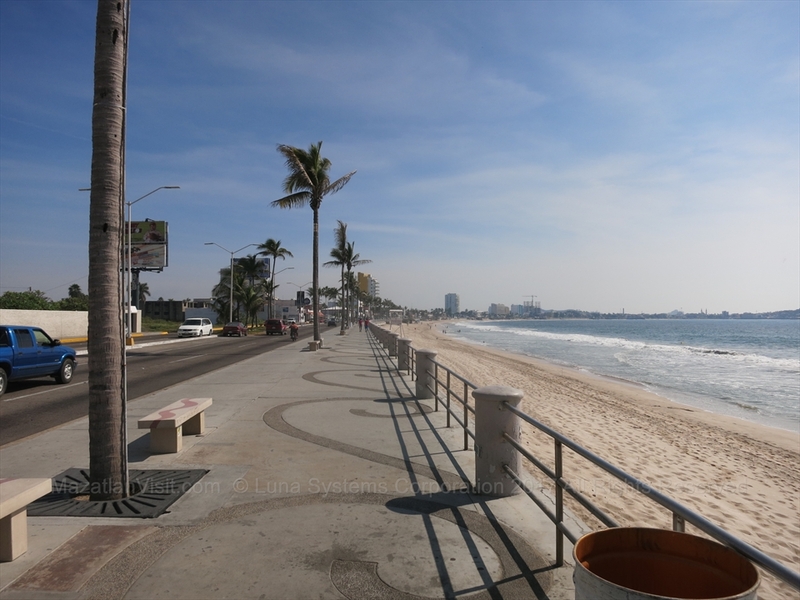 It is a very long walk to walk the entire malecon and very few people do it. We recommend that you visit it in sections, e.g. from Valentinos south, from the Fisherman's Monument south, from Olas Altas to El Clavadista(cliff divers). Another way to see it, is to take a pulmonia ride down most of it from the golden zone to the monuments on Paseo Claussen then walk the rest to Olas Altas. It is safe, as a tourist, to walk on the malecon, however, as with most places, especially late at night take care to watch out for yourself! There are a number of fabulous beach seafood restaurants next to the malecon that you can enjoy. These range from palapas (open-air palm roofed structures) to full on buildings. 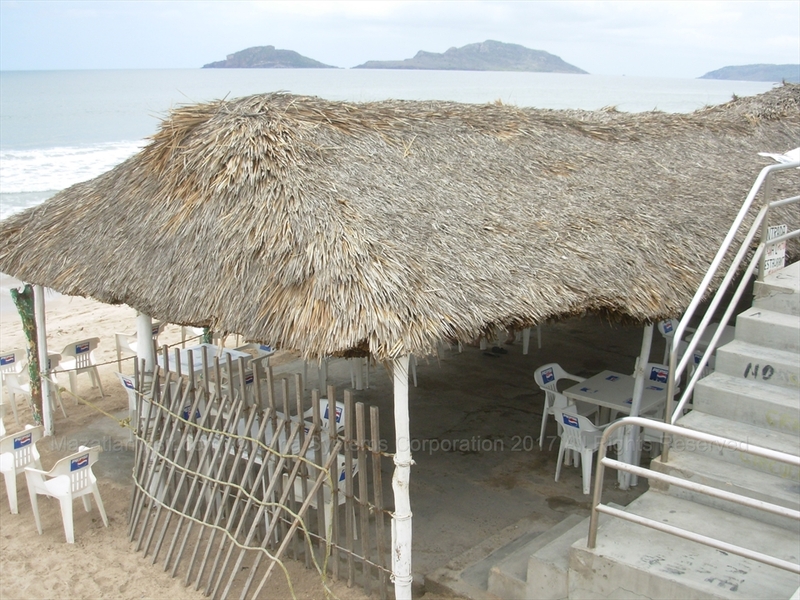 We prefer to go to the palapa restaurants such as Puerto Azul and El Corriente! If you are in the Golden Zone near the beach, e.g. at Joe's Oyster Bar, you may have a fabulous view of the malecon at night with the lights of the Avenida del Mar and the hotels/condo. This is truely one of the best views of any bay in the world! You can also see the flashing lights of the television tower on the hill and the light from the El Faro lighthouse! Also, unique to Mazatlan, are the lights of the Hacienda hotel. The hotel changes it's outside lights at certain times of year, e.g. to show a red heart on Valentine's Day and a Christmas tree at Christmas! 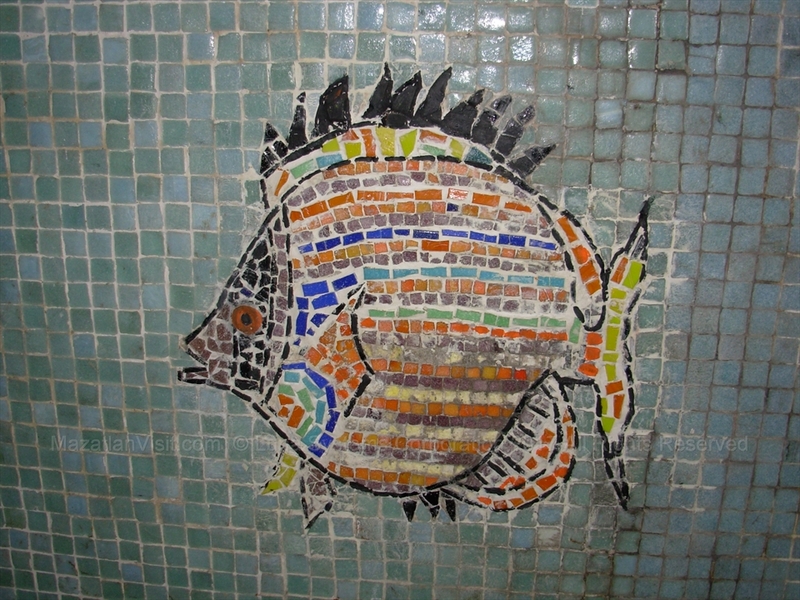 This is one of the many things that makes Mazatlan unique and special! 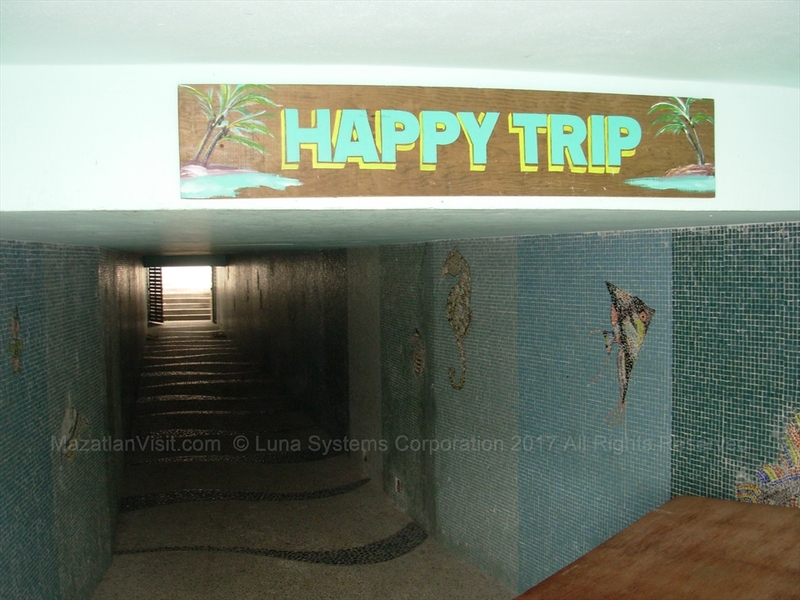 MALECON SECRET: There are 2 tunnels which pass under the malecon and Avenida del Mar! The main one is from the Hotel De Cima to the La Corriente restaurant on the beach. 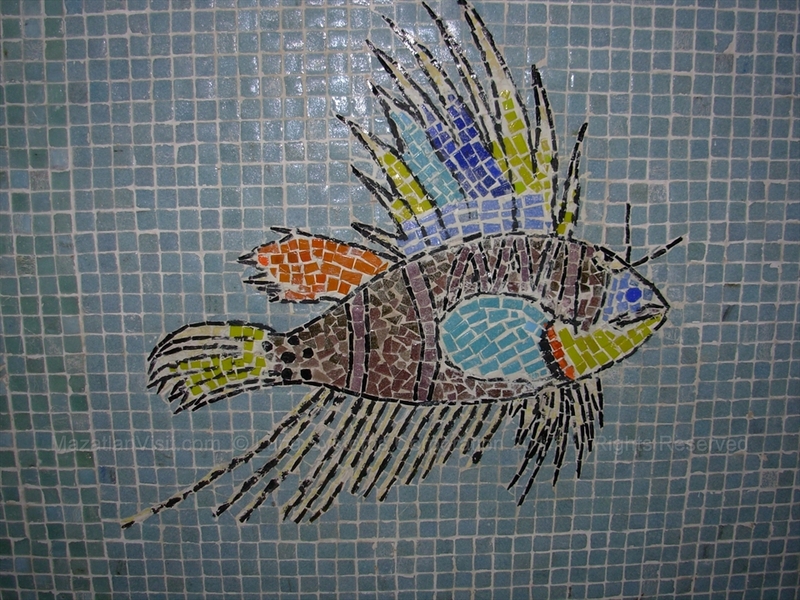 This tunnel has fantastic tile mosaics of fish that is well worth the visit! The other tunnel is not so nice and should be avoided! In 2015, the city installed palms trees all the way down the malecon. There are lights on the palm trees which make the malecon look spectacular at night! This was a major project and really improved the look and feel of the malecon from somewhat barren to more tropical! The trees were donated by some people from Stone Island. We think these trees will be a defining feature of the malecon for ever now! In May 2017, the city of Mazatlán installed free Wi-Fi along the malecon. The network name is: "Un solo mazatlan por ti", and there is no password required. As of the Fall 2017, the city has been doing a major rebuild of the malecon. As of the beginning of 2018, they have completed a small portion at the very north near Fiestaland. They have put in a different small square brick top on the walking path, put up futuristic sun shades, some new benches, removed the parking from the center of the Avenida del Mar and replaced it with planters and foliage. 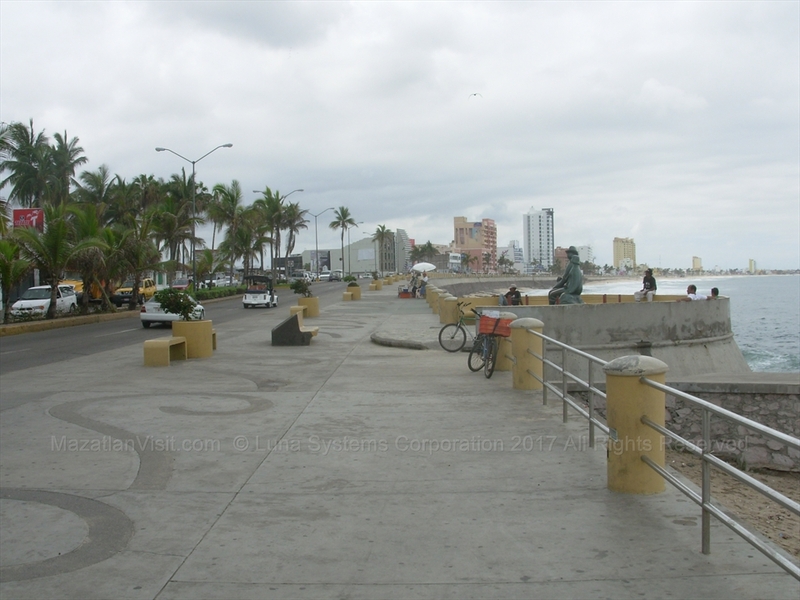 We hope that these changes don't change the character of the malecon! The intention is to rebuild the entire malecon by the time that Carnival starts, but we doubt this will be possible because it is such a huge job. Supposedly, as of Jan 2018, they are working 24 hours a day on the job. As part of the malecon rebuild and the loss of parking, the city is building a new road on the lagoon behind the main strip. Supposedly, it will have tons of parking. 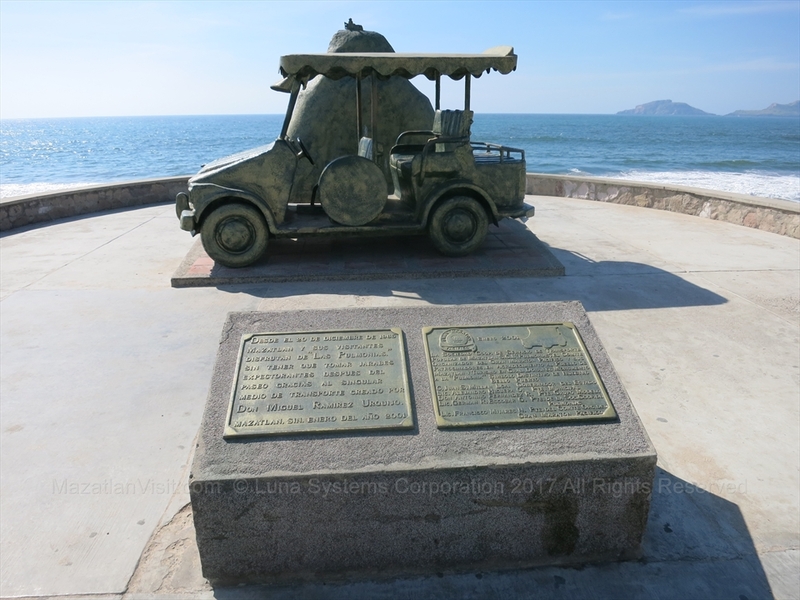 How long is the malecon in Mazatlán? 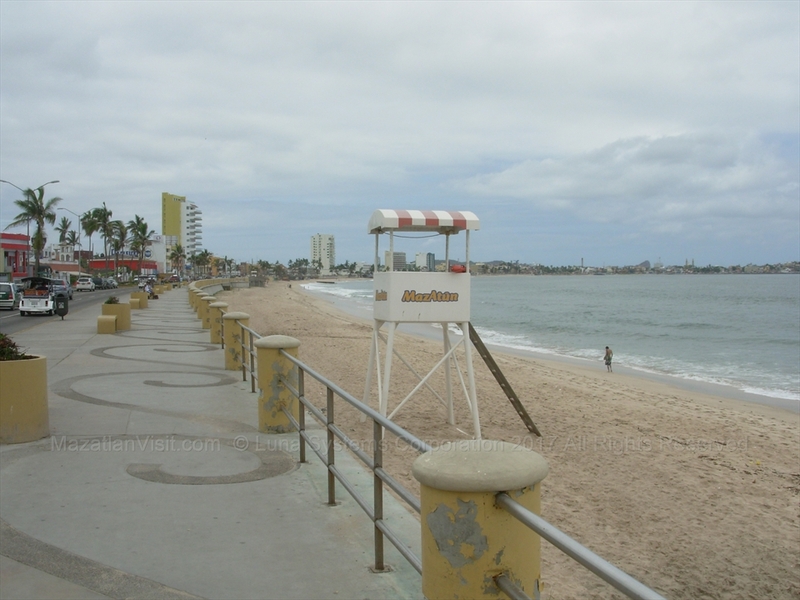 The malecon in Mazatlán is almost 21km (13 miles) long. 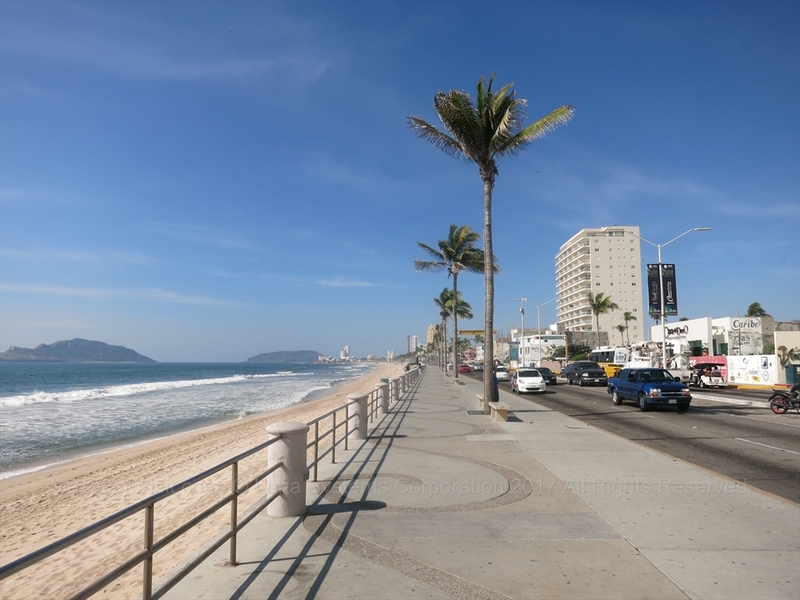 Why would you want to visit the malecon in Mazatlán? You would want to visit the malecon in Mazatán because it is beautiful and one of the longest seawalls in the world! 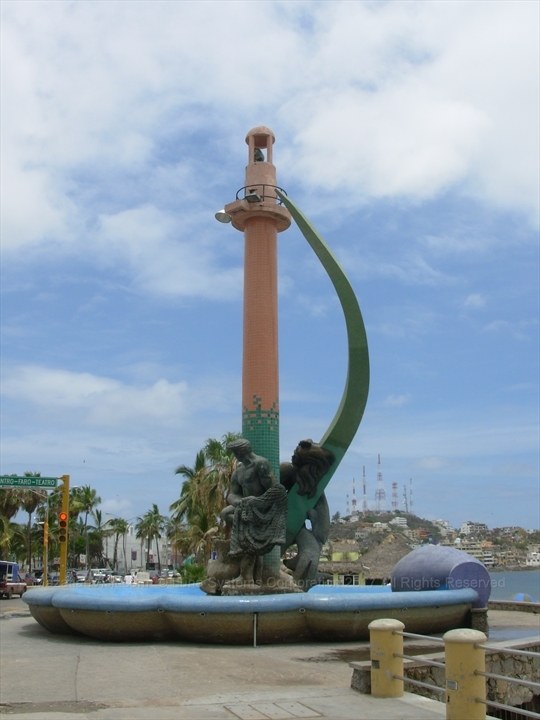 You can also see some of Mazatlán's most famous monuments and see the cliff divers! Where is the malecon in Mazatlán? The malecon in Mazatlán located in front of the main large bay in Mazatlán. It runs the length of Avenida del Mar and Paseo Claussen.